This week, candidates running to replace outgoing Mayor Rahm Emanuel condemned his decision to hire Eddie Johnson, a Chicago Police Department insider, to reform the department after the release of the Laquan McDonald video. Several criticized the convoluted system by which Emanuel selected his handpicked police superintendent, with one calling for an independent investigation into Johnson’s track record as a police supervisor. This came in response to the Invisible Institute’s reporting—first published last week by the Intercept and re-published as a Weekly cover story—that Johnson has a pattern of justifying deadly uses of force and protecting and promoting officers who commit them. Our reporting also revealed that Johnson was the CPD supervisor who approved Detective Dante Servin’s use of force after Servin shot and killed Rekia Boyd. Boyd’s killing became one of the department’s most notorious modern-day shootings. 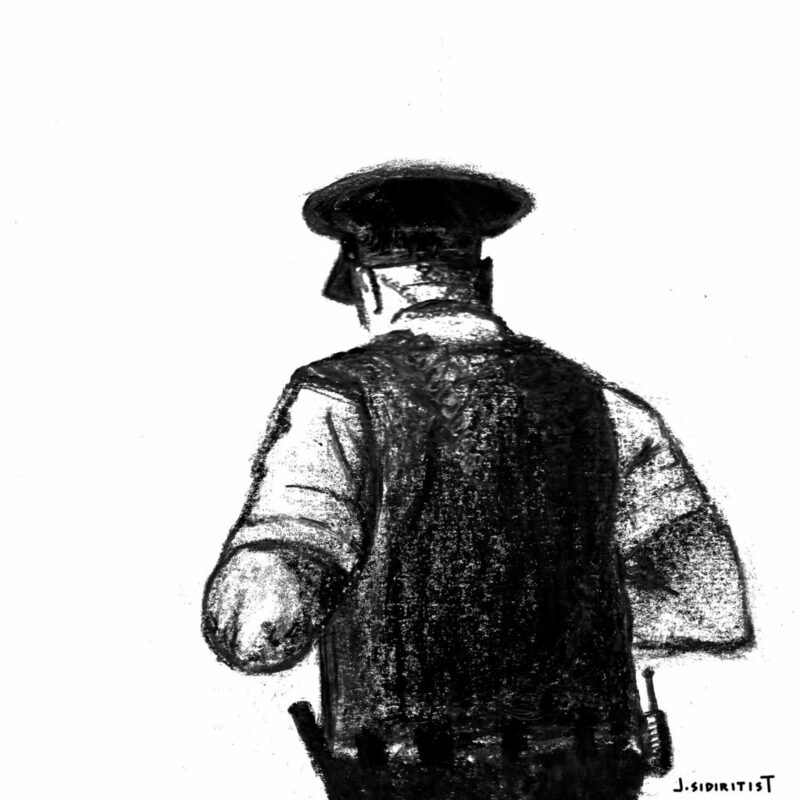 Police misconduct and reform will be a central issue in the upcoming race to replace Emanuel. We reached out to nearly every mayoral campaign for comment in response to our reporting on Johnson’s history and we asked how they would choose their superintendent if elected. Nearly all of the mayoral candidates who provided statements said they would replace Johnson if elected. Former Chicago Public Schools board chair and aide to Mayor Richard M. Daley Gery Chico, who came in second to Emanuel in the 2011 mayoral race, said Emanuel should call for Inspector General Joe Ferguson’s office to open an investigation into Johnson’s pattern of justifying misconduct. He wrote in a statement,“Chicago’s top police officer should not have a record of downplaying or overlooking misconduct within the police department.” He also faulted Emanuel’s office for not identifying the pattern before Johnson was confirmed as superintendent, writing, “It is unacceptable that this information is only coming to light now nearly three years after [Johnson] was appointed superintendent.” Chico would lead an “exhaustive” national search for the next superintendent, but said that “Chicago offers a rich pool of talent” and that, regardless of who he picks, he will do “due diligence in investigating the backgrounds of all candidates” for his cabinet. He said he plans to release a public safety plan shortly which will propose improvements to police training and community policing, and expanding the use of technology—a controversial centerpiece of Johnson’s tenure. Calling the reporting “very disturbing,” Cook County Circuit Court Clerk Dorothy Brown wrote in a statement that “it appears that either Mayor Rahm Emanuel did not do his due diligence when making his selection of Eddie Johnson, or it just did not matter to [Emanuel] that [Johnson] had been the supervisor or commander in the cases described. The most disturbing case is where he signed off on the Rekia Boyd shooting as justified.” She said that, if elected, she would not keep Johnson as her superintendent and would lead a nationwide search—open to current CPD members—for a candidate with a “demonstrated ability to lead with a sense of social justice and fairness,” and would work to implement reforms across the entire criminal justice system, including county and state agencies. Through a spokesperson, Bill Daley, the former U.S. Secretary of Commerce under President Barack Obama and the son and brother of two Chicago mayors, declined to comment “on Eddie Johnson—or any personnel issues—until he is elected.” His campaign instead forwarded a copy of his newly-released crime plan, which calls for increased gun law enforcement, a remarkable increase in the number of surveillance cameras and drones used by police, increased anti-gang policing, and a $50 million violence reduction office that reports to the mayor. None of his proposals deal with issues surrounding officer-involved shootings, supervisory justification of serious and deadly uses of force, or any other issues raised in our reporting. We did not receive a response to our requests for comment from former CPD superintendent Garry McCarthy, whom Johnson replaced in the aftermath of the McDonald video release. Nor did we hear from former Police Board president Lori Lightfoot, one of the most vocal proponents of police reform within City Hall during her tenure. The same goes for state Comptroller Susana Mendoza (who is widely seen as an ally to Emanuel), former Chicago Public Schools CEO Paul Vallas, West Side state Representative La Shawn Ford, activist Ja’Mal Green, and attorneys Jerry Joyce, Jr. and John Kozlar. Sam Stecklow is a journalist at the Invisible Institute and a managing editor of the Weekly. Andrew Fan is a journalist and data analyst at the Invisible Institute.